A Tremendous show full of laughter and surprises. For over 200 children and 50 or so parents and staff. 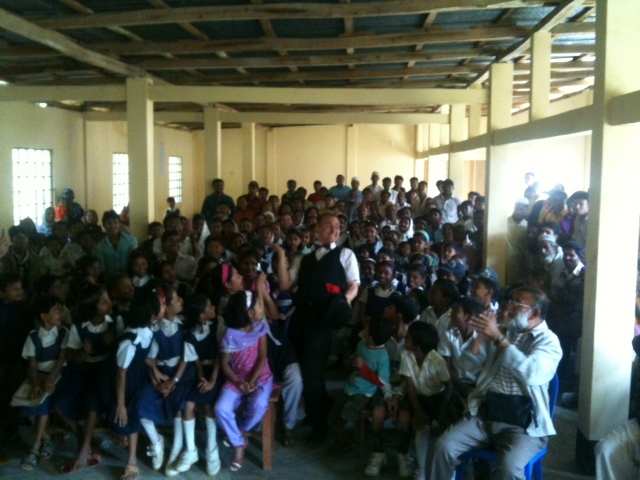 Afterwards Principal Sayeed said: “The children will never forget such an occasion. People of this locality have been waiting for such a program.” Mr Sayeed is very keen on encouraging martial arts in the school (the children do a tae kwon do program) and is particularly supportive of education for girls.